The idea of slow-moving government employees working just a bit faster than snow melts in April is a tried and true American comedy trope. Most of us chuckle watching the fast-moving rabbit police officer in Disney’s “Zootopia” struggle with cartoon sloths at the city’s Department of Motor Vehicles and remember those times we’ve had a poor interaction with some functionary in some government office. With the 2018 election behind us and the new legislative class elected, our representatives head to Juneau in the near future. Many ran on promises of reining in government spending. Some have even worked to find ways to better manage our public purse in the past. With more than 17,000 full and part-time employees, the amount our state government spends to administer programs and provide public services should be closely examined. How do Alaskans know that their government is using public money effectively? How do we know we are getting the best bang for our buck? During the budget debates in early 2018, members of both the House and Senate dug deep and uncovered more than 1,500 “funded but unfilled” positions, according to Rep. Cathy Tilton’s office, the total cost of which added more than $150 million to the budget. Dozens of amendments with specific cuts were introduced, only to be summarily dismissed. According to a study published by the Alaska Policy Forum, the average Alaska government employee was compensated $105,759 in 2016. A worker in the private sector doing the same kind of work was compensated $68,152. Alaska has more than twice the number of people on its payroll than the national average. The bottom line in the study? Alaska paid $1.7 billion more than the U.S. average for the provision of government services. Some of the same legislators who have been digging into the books of our government agencies and their departments have expressed frustration at being unable to know specifically where to start cutting. Like being stuck in jungle vines and finding yourself unable to swing your machete, the complex nature of government operations and, frankly, bureaucrats protecting their taxpayer-funded fiefdoms are preventing our elected officials from undertaking meaningful steps to reduce inefficiency and wasteful duplication in state offices. The Alaska Policy Forum has also shed light on this problem. Further analysis of government payrolls, grouping positions by function, and then comparing these functions to private sector equivalents and national averages has uncovered 15 areas where focused attention should be paid. For example, if we were able to reduce the cost and number of government employees providing financial services (like accounting, budgeting, or purchasing) to the national average of state-paid finance employees, Alaska could save $62 million. Why does Alaska, a state with relatively few miles of roadways, have more highway employees than the state of Montana, which has six times the mileage? We all know that Alaska’s weather and vast distances make the cost of doing business generally more expensive, but does the cost of our public employee compensation have to be that much more expensive? Bringing our highways and transportation payroll in line with the national average? $192 million in savings. Oil prices have largely recovered from their lows of just a few years ago. New oil is beginning to flow into the pipeline. 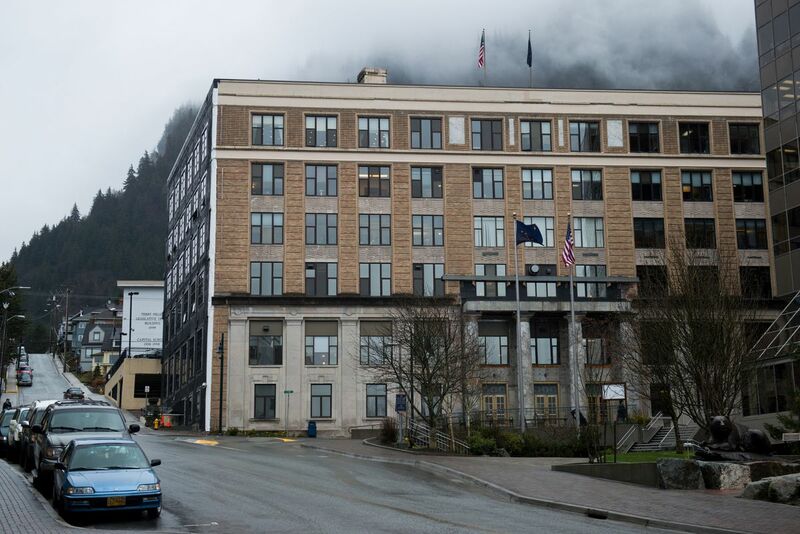 Alaska’s government employees may likely escape the type of painful job losses their private sector colleagues have endured. But we need to know that public dollars are being well spent. We all have had our interactions with sloth-like DMV employees. But we also have plenty of dedicated, quick-moving public servants more like Officer Judy Hopps of “Zootopia.” We need more speedy rabbits in government service. Bob Griffin is a retired USAF fighter pilot, former Chair of the Anchorage Municipal Budget Advisory Commission and a current board member of the Alaska Policy Forum.